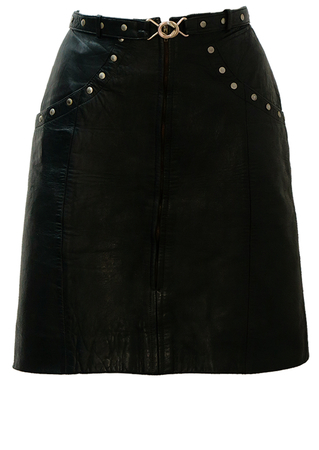 Black leather rock chick mini skirt with great design details that include a series of silver studs at the edges of curved front pockets and along the belt which fastens with interlocking silver loops. 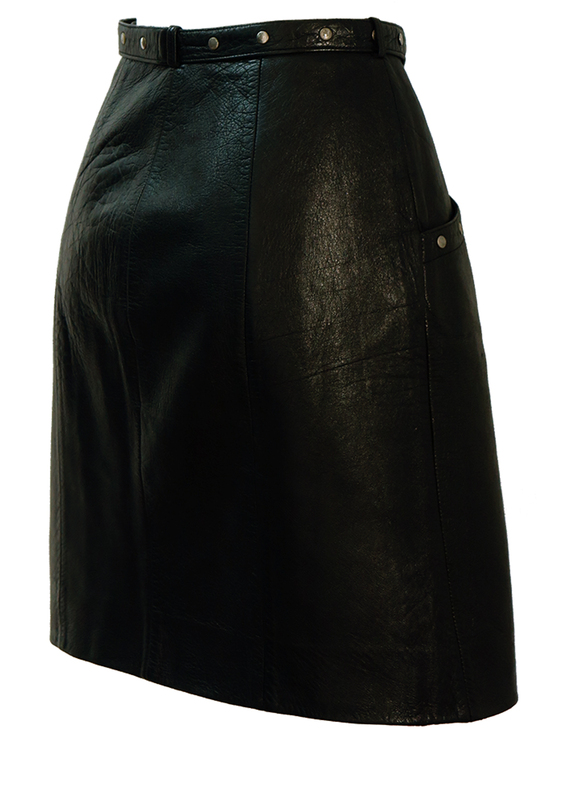 The leather has a lovely soft feel to it with a slight texture and additionally features a long zip at the front. It is also fully lined in black. It’s possible that the skirt has been tailor made for someone or it’s a possible design prototype. 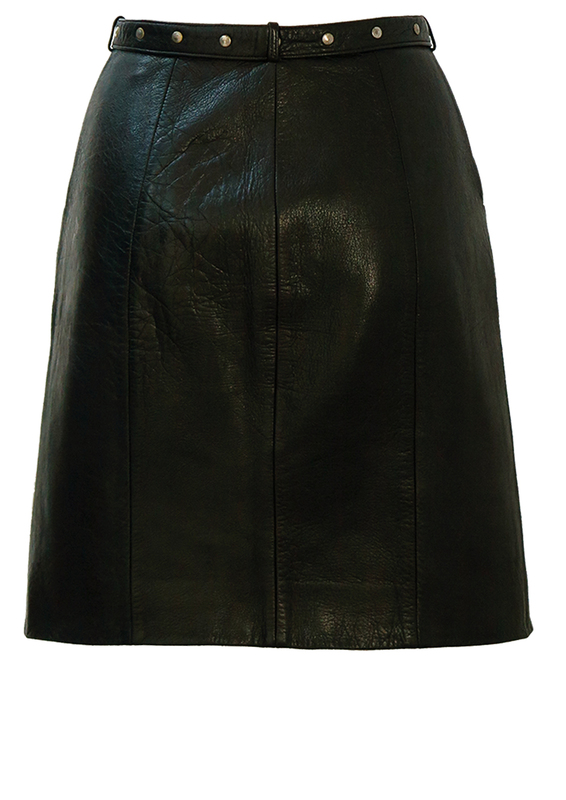 In the absence of a sizing label we approximate the size of the skirt to be a size S – please refer to our measurements for further sizing guidance.